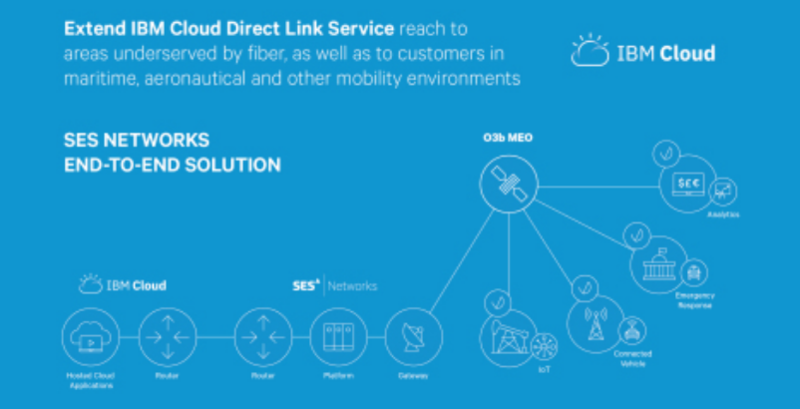 Through the IBM Cloud Direct Link Service Provider Program, SES Networks is enabling high-performance, fiber-like connectivity to IBM Cloud customers globally. 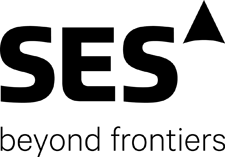 SES Networks is using satellite-based connectivity to deliver an improved digital experience in customer segments such as governments, global telecommunications, maritime, aerospace, energy and other markets with remote or mobile end points, SES announced today. The O3b constellation is the only non-geostationary satellite system today that delivers broadband connectivity with fibre-like performance. O3b broadband solutions are the only satellite-enabled services that are MEF CE 2.0 certified. The certification in all CE 2.0 service types recognizes SES Networks’ ability to offer MEF-compliant service level agreements for key attributes such as latency, jitter and throughput. Gabe Montanti, Global Offering Executive, IBM Cloud, said that together with the company's Direct Link service providers, IBM is helping enterprises securely and reliably connect to the cloud and take advantage of high value services including AI, IoT and analytics. The collaboration with SES Networks can help customers connect to the cloud globally especially those in underserved regions of the world. John-Paul Hemingway, the CEO of SES Networks, added that as cloud services become a cornerstone of the digital era, ubiquitous high-capacity, low-latency connectivity to the cloud from virtually anywhere in the world is paramount to everything from enterprise productivity and revenue growth to consumer end user satisfaction. SES is excited to team with IBM Cloud to meet these growing cloud connectivity demands. With performance that rivals the terrestrial fiber connectivity, the company's standards-based O3b fleet is designed to make satellite a seamless ‘plug-and-play’ connectivity option for robust solutions for cloud leaders like IBM Cloud.